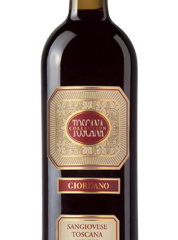 What We're Drinking - 2010 Giordano Lombardo Sangiovese "Toscana Collection"
This November 5th we will hold the 3rd Annual Palate Press Grand Tasting, in Indianapolis, Indiana. 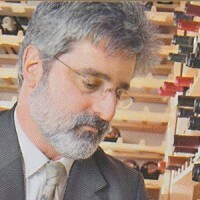 Guests will include wine professionals and wine lovers. Cherries and some cola and caramel show up on the nose, along with a little more burn than you would expect from the 13.7% alcohol reported on the label. On the palate the wood speaks loudest, in vanilla and caramel, followed by dark cherry and Dr. Pepper. A bit of allspice and white pepper appear on the palate, but none of it breaks through the wood. Drink with baked chicken, the dark meat if possible. No recommendation. Two different reviewers can give completely different descriptions of the same wine. So which one is right? Both? Neither? Actually, that is the wrong question. The better question is, "which one is right FOR ME?" In a case that will have enormous ramification across the internet, particularly for authors and publishers of all kinds, Judge Denny Chin, sitting in the United States District Court in New York City, rejected a class action settlement between Google and a class representative for authors and publishers. Drink this with pan seared scallops at dinner, or with a big bowl of popcorn in front of a gently glowing fireplace. Recommended.